Which Italian Foods are in your Dreams? We associate food with Italy, am I right? 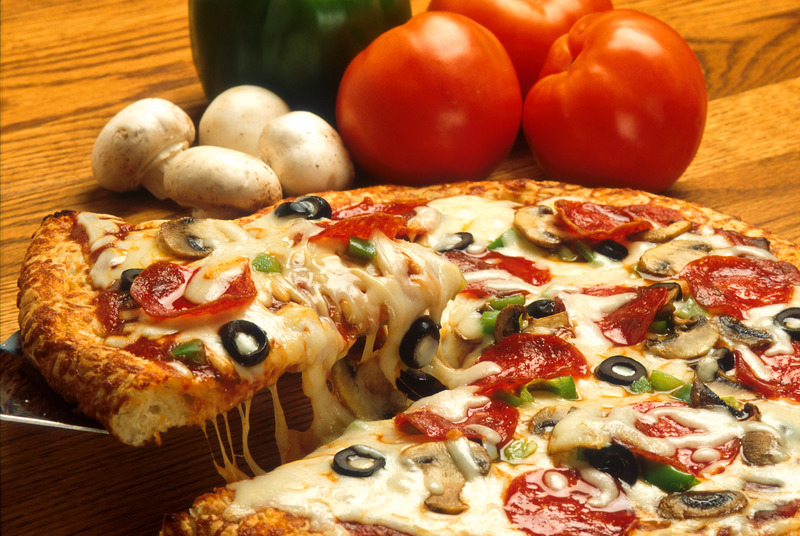 Do you long to taste the delicious fresh farm to table foods, sink your teeth into a glorious piece of authentic pizza? 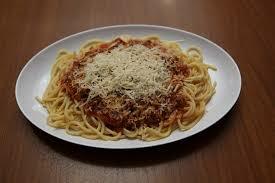 Or roll your fork into a beautiful plate of authentic Italian spaghetti and meatballs? While I know you will fall in love with many, many authentic Italian foods, I need to let you know that unless you visit a very touristy restaurant (never by my recommendations! 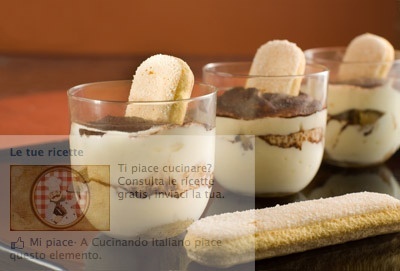 ), you will not taste some of your favorite "Italian" dishes in Italy. In fact, my Italian friends almost cry at the thought of some of the Italian-American dishes. Something you should know right up front . . . Italians take their food very seriously and it saddens them to see what others may do to their great, great, great grandmother's recipes. TIP: Don't eat at the restaurants on the front row near the iconic sights, walk a few blocks back where the menu is only in one language-ITALIAN. I hope it's almost lunch time because you will surely be hungry before reaching the end of this email. Bread in Italy is usually plain and served with olive oil instead of butter. 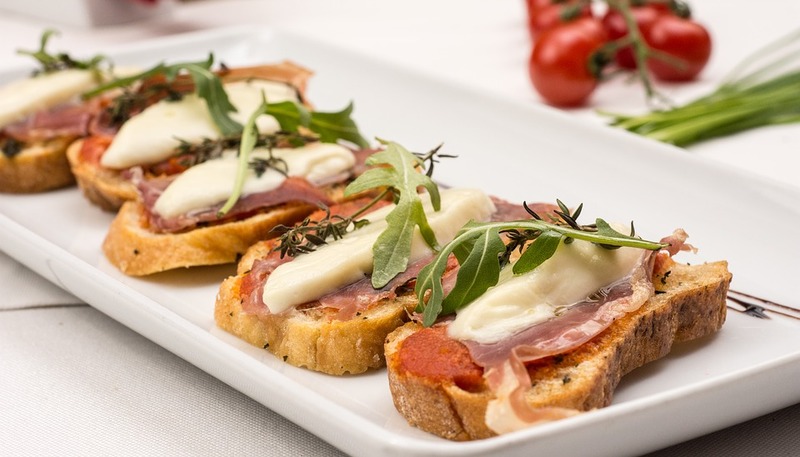 TIP: Bruschetta (brusketta) is about the closest relative to garlic bread since its drizzled with garlic and olive oil before baking. Pizza in Italy is completely different (in a wonderful way) than it is in the USA. It has a very thin crust and may be topped with a variety of toppings like fresh tomatoes, broccoli and mozzarella, prosciutto, anchovies, mushrooms, but NOT pepperoni. TIP: Taste the pizza in each city in Italy, they each have their own charms. Sshh, don't repeat that in Naples. Salads are sometimes topped with olive oil, vinegar, balsamic, salt, maybe pepper, but if you request Italian dressing in Italy, you may be stared at like a martian. In restaurants, your salad is served to you plain and you are expected to add the oil and vinegar on table. Fettuccini al burro is slightly similar, but much lighter than the heavy cream sauce Americans serve. Pasta is topped with butter and cheese (no cream) for a lighter dish that's healthy, not harmful. TIP: I always suggest CLOSE THE MENU and ask the chef to share his specialities, I promise he will not disappoint. Most dishes in Italy are not covered in red sauce. In some cases, fresh marinara sauce may be used, but mostly your dish is prepared with shellfish and or olives. We realize this may come as a bit of a shock, but I assure you it is true. What could be more Italian than spaghetti and meatballs? NEWSFLASH . . . Italians do eat meatballs, but they are never served over pasta. They're a different course altogether and are enjoyed on their own. This was hilarious the first time I registered for a cooking class and I was asked to choose the menu. Only eggplant gets the parmigiana treatment and not veal, chicken or meatballs. HA HA, another discovery at a cooking class. No, another myth. Please don't give your chef a heart attack. Chicken does not belong ON pasta. These are two very different dishes. YOU may find small pieces of fish on pasta. Another shocker!! Italians believe a decadent dessert like cheesecake is a bit much for every day eating. Italians will serve something lighter like cannoli, fruit tarts or fresh fruit in season. Don't be disheartened, it may be different than you are expecting, but I encourage you to try dishes that you may not LOVE in USA, something about the FRESH produce, I LOVED dishes that I had always thought that I didn't like. I can promise you, the foods you taste will be MUCH better than you are expecting!!! You see, when Italian immigrants arrived in other lands in the 19th and 20th centuries, they did as they did in Italy ... used local ingredients. This absolutely changed the way they cooked and created a new cuisine. While the new cuisine is simply wonderful, you will not find it in ITALY. ENJOY your ITALIAN favorites at home, but prepare your taste buds for a beautiful, authentic ITALIAN EXPERIENCE you will not soon forget. i.e., FRIED ZUCCHINI FLOWERS--YUMMY!!!!! !